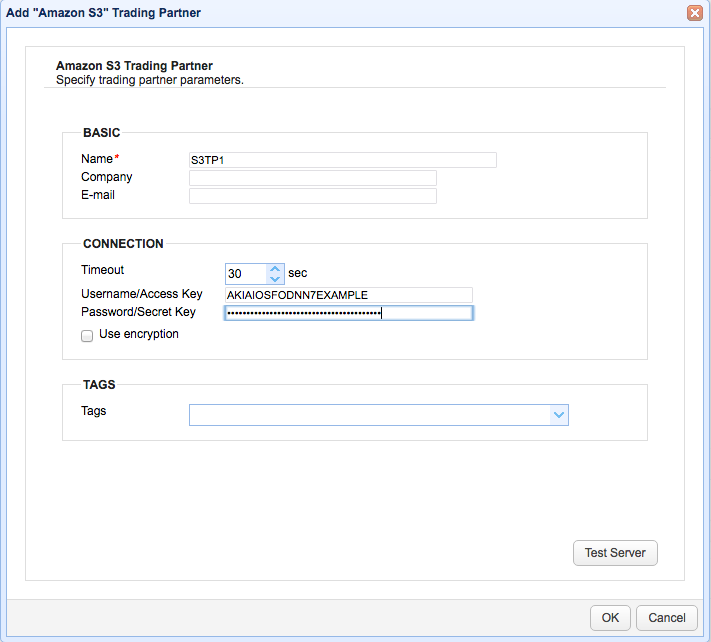 In order to create an Amazon S3 Trading Partner, you'll need two key pieces of information: your Access Key ID and its corresponding Secret Access Key or Secret Key. They function like usernames and passwords, respectively. So, when you create an Amazon S3 trading partner, you would enter your Access Key ID into the Username/Access Key field, and your secret key into the Password/Secret Key field. To test whether those credentials are working and you're able to connect to Amazon S3, just click the Test Server button. 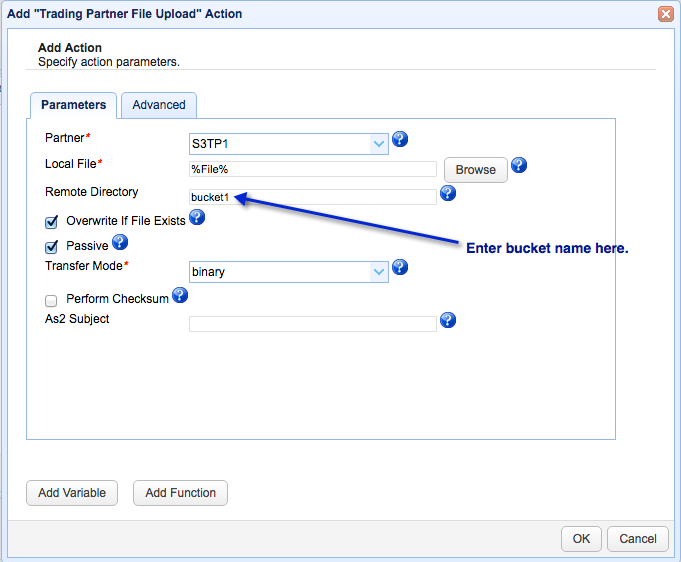 If the test succeeds, you can proceed with setting up the MFT Server to upload or download files to/from an Amazon S3 bucket. You would typically do this through any of the Trading Partner triggers, e.g. Trading Partner File Upload, Trading Partner File Download, etc. The key point to remember at this part of your set up is that Amazon S3 won't allow you to upload files to the 'root' folder. You need to specify the name of the S3 bucket before you can upload files. Enter the bucket name in the Remote Directory field.